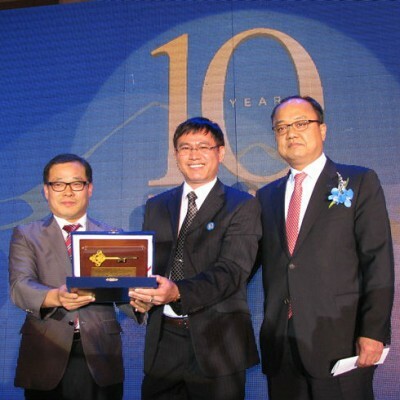 On the evening dated December 01st, 2013, Thai Son Nam Trading Co., Ltd, LSIS Co., Ltd Authorized Distributor celebrated 10th Anniversary in Hall of Sai Gon Park Hyatt Hotel (HCMC). Speaking before a large enterprise, customers, suppliers, agents and dear friends to congratulate, Mr. Tran Anh Tu – Chairman would like to thank the cooperation of all has brought Thai Son Nam successfully as today. Smiling confidently, he shall report to the fierce competition of the market with a little person but Thai Son Nam has gradually established a position of LS products as well as Thai Son Nam’s position in the market strongly. “We are proud that have brought LS products from lowest market share to be become a product occupies the largest market in Viet Nam and Thai Son Nam has always developed to be one of the best distributors of LSIS Co., Ltd on the world” – The Chairman of Thai Son Nam emphasized. Mr. Tran Anh Tu said, the biggest success that Thai Son Nam may be, it’s the Leaders, Staffs and all of company has changed the image of LS products. From a product was assessed in accordance with the mass market only, now, it has been recognized by the market as a superior product, ensuring both quality and after-sales service. 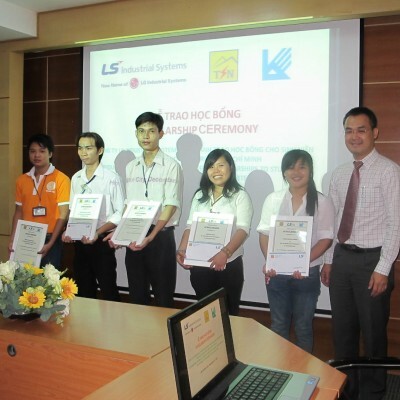 Today, LS product has improved a new level, present in most of the largest project in Viet Nam. It is the pride of Thai Son Nam, a company has become a major brand in the market. Reply a question what important things has led to Thai Son Nam’s success today, Thai Son Nam’s Chairman confirmed that “It’s trust, cohesion between the members of company. All members of Thai Son Nam have the same direction, with the motto of devotion to each other and of devotion to customers”. Celebrating 10th Anniversary of Thai Son Nam Company pleased to welcome representatives of LS Group, including Mr. Kang JinHo, Tea Won Son, Song Woo Sung, Sun Kyo Kim, with Mr. Koo Ja Kyun’s congratulations – LSIS Co., Ltd Vice President. Address: 122 - 124 D.1 Street, Him Lam New Urban,Tan Hung Ward, District 7, Ho Chi Minh City, Vietnam. Copyrights 2011 Thai Son Nam Trading Co., Ltd - All rights reserved.